Prior to the 1950’s, lath as well as plaster was something particularly typical when it comes to creating ceilings as well as walls. Plaster is considered to be a rather ancient way of creating a considerably smooth wall and it has been used in decorative ceilings, walls and moldings for quite some time now. Plastering freehand as well as creating perfectly smooth surfaces on your ceilings and walls is, however, a difficult skill and one which is considered rather laborious. However, there are a few different types of plasters which are commonly used in contemporary housing projects, so let’s have a look. Lime – this is created by mixing up sand and water. The resulting blend provides the plaster with a rather natural as well as mold resistant a particularly breathable finish. If you are familiar with the Venetian Plaster, lime is one of the main components. Gypsum – this is settled and formed by heating up significantly a powder of dried plaster with water. It’s durable enough but the most cherished quality is that it’s fire and sound-proof. Cement – these are naturally strong and are mainly incorporated to support exterior structures. They are known to be incredibly durable and they can persevere through harsh weather conditions. As you can see, there are different types of plaster which are readily available on the market. What is more, there is a huge amount of various products which are taking advantage of modern technologies and combine some of the above to create new, more reliable blends. As unfortunate as it may sound, however, plaster is something which is quite hard to repair. The main difficult stems from the fact that you need to ensure that the repaired part doesn’t stay like a spot on the wall or ceiling. It needs to blend in naturally with the remaining one in order to look convenient. This is the main reason for which undertaking any DIY initiatives is quiet unreasonable and it’s likely to waste your time at the very best. Relying on the professionals in situations of the kind is the most reliable option for you to consider. Sure, you’d have to spend a small amount of money but you will be guaranteed quality and splendid appeal. This is well worth the inconsiderable investment. 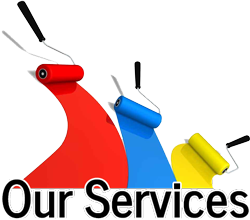 With years of experience in the field of home restoration, we are a company with significant experience and a lot of knowledge. There is no challenge that we haven’t managed to tackle and we take pride in bringing 100% customer satisfaction. Give us a call today and let’s see what we can be of use for!